"Let me show you my favourite chocolate shop" my friend told me. I like to think that I would never refuse the invitation to discover a chocolate shop and when I am led by my very opinionated friend Buxom Wench and her husband Silver Fox, I know that we will be in for a treat. 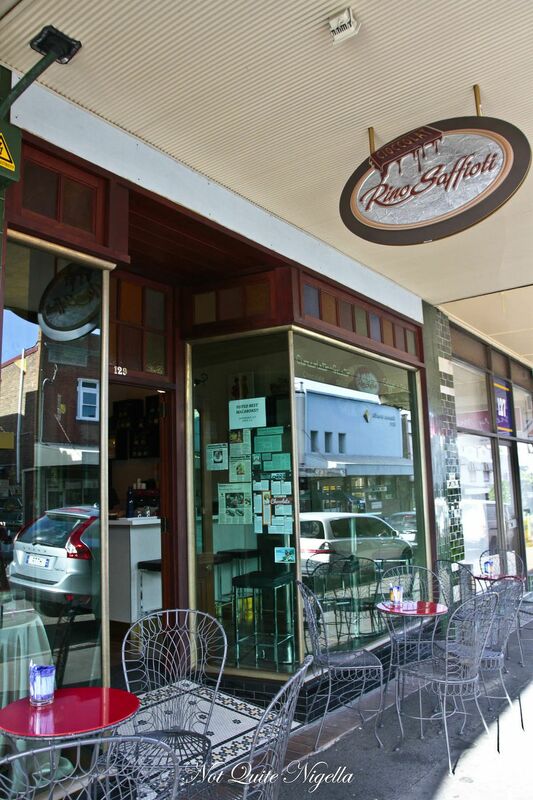 We get in the car and drive to Haberfield's Ramsay Street and alight at Rino Saffioti. "He's very friendly for an chocolatier" she says giggling. Indeed as Buxom Wench and Silver Fox are regulars Silver Fox making the trek ever Thursday to spend hours there, they know their stuff. Rino creates truffles using a Callebaut blend as well as ones made with a single origin Venezuelan 75% cocoa chocolate by Black Gold Cacao. 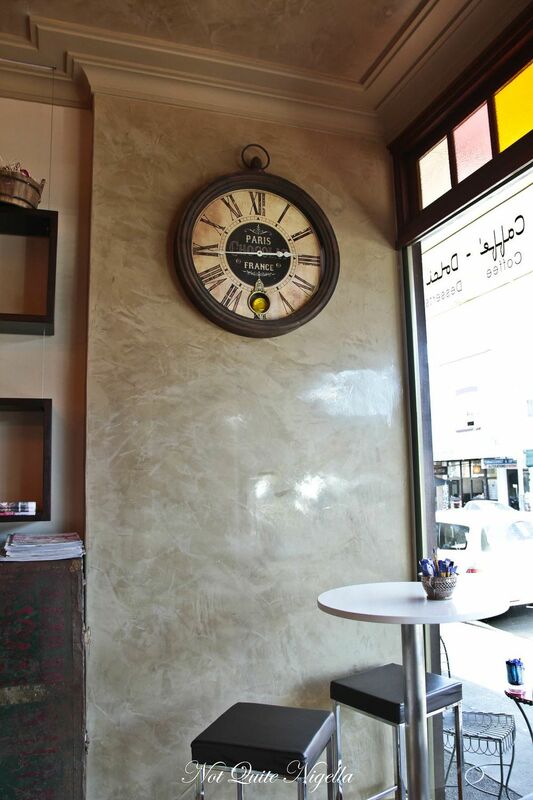 Originally it was a thriving wholesale chocolate business that supplied to David Jones up until a year ago. It was the end of that relationship that spurred the retail shop to open. Another factor was the insistence of the local council that didn't want an empty shopfront and six months after the relationship with the department store ended, the store was opened. 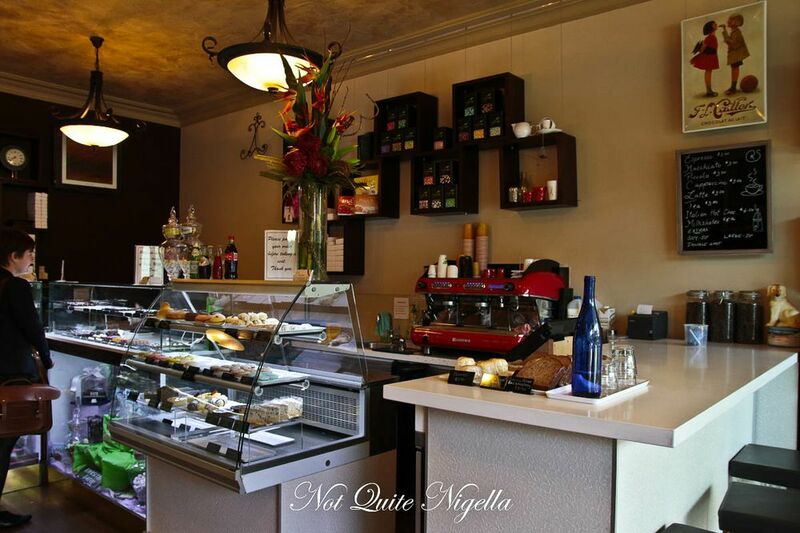 The boutique showcases a range of approximately forty truffles and half a dozen pâte de fruits, those beautiful sugar crystal coated intensely fruity pastilles that I must admit I go absolutely gaga for. 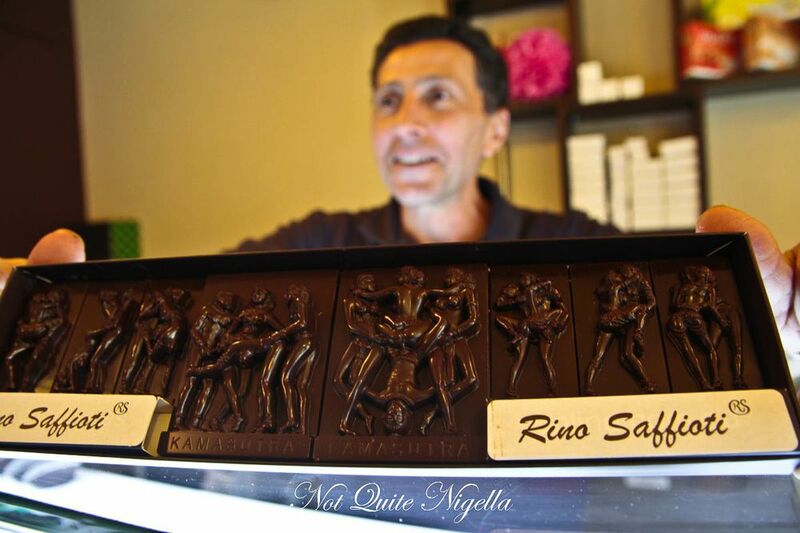 Rino originally studied to be an electrical engineer but after being retrenched and unable to find work in the field, he and his wife Marisa bought a small chocolate shop in Drummoyne. Sadly, it was a failing business as it had lost its major client, another department store Myer. They were also taking on a legacy from the previous owners using compound chocolate and they soon found that customers didn't want this, they wanted couverture. It was only after years of self taught instruction that saw them change to using couverture and now twenty years later, the shop sells his hand made creations. 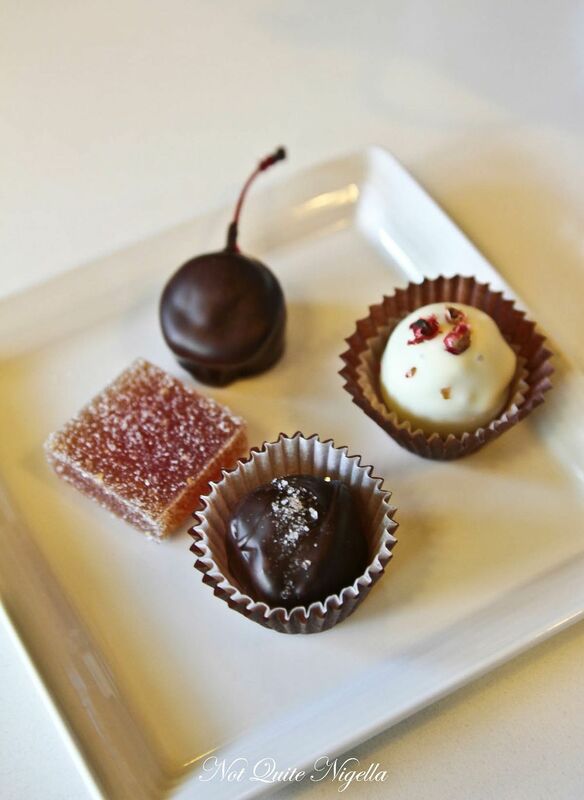 "Twenty years ago there were no chocolate schools in Australia, you had to go to Europe to learn about chocolate and that wasn't available to us because it required a lot of funds. But we persevered" he says. 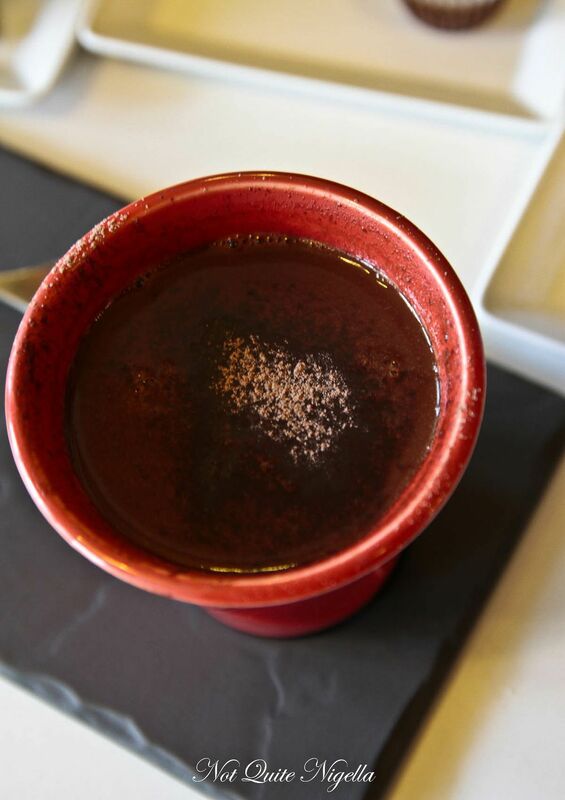 First things first, Silver Fox's favourite order, an intense hit of Italian hot chocolate Silver Fox style. It's a special order but one that the affable and friendly Rino is happy to make. Instead of a hot chocolate made with milk, it's made with just water. And before you screw up your nose, it's absolutely wonderful bringing out the fruity and dark characteristics of the chocolate instead of muting them as milk would. It's a hot chocolate for adults it's so rich. 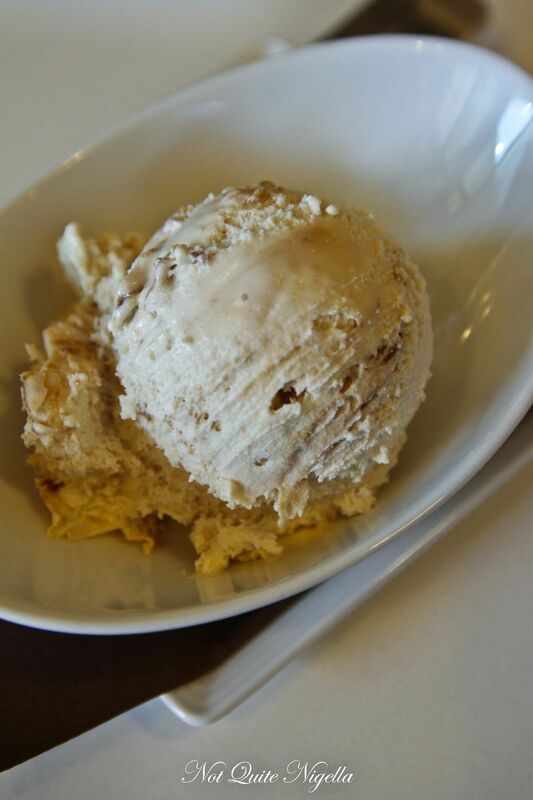 All of the cakes, chocolates and ice creams are made on the premises. Unfortunately they are out of the dark chocolate sorbet, made without any milk and just chocolate and water. According to Silver Fox and Buxom Wench it is richly decadent and spine shiveringly good. But I'm looking at the truffle display which looks already to be somewhat sold out. Silver Fox whispers to go for the salted caramel so I try one of those along with a spiced tahini just because it sounded interesting, a Maraschino cherry on Rino's recommendation and fig pate de fruit just because I'm unable to resist them. The fig pate de fruit is firm with an intense fig flavour which is just why I adore these little squares of sugary heaven so much. The salted caramel is filled with a thick caramel with just the right amount of salt while the maraschino chocolate is filled with a plump, bursting centre of alcohol soaked cherry. And the one that we were all so curious about? The spiced tahini is actually a double layered chocolate with dark chocolate inside the outer robing of white chocolate. Inside is a ganache with spiced tahini-quite subtle indeed and the tahini is of course based on sesame seeds. The flavour isn't too strong at all of sesame and is about as natural as nuts in a chocolate. However, the strongest flavour is from the pink peppercorns on top! Rino tells us that the combination all came about as an accident. I try a little chestnut ice cream, it's sweet and tastes mostly of vanilla with some chestnut in it but I must admit that I prefer things stronger in chestnut. 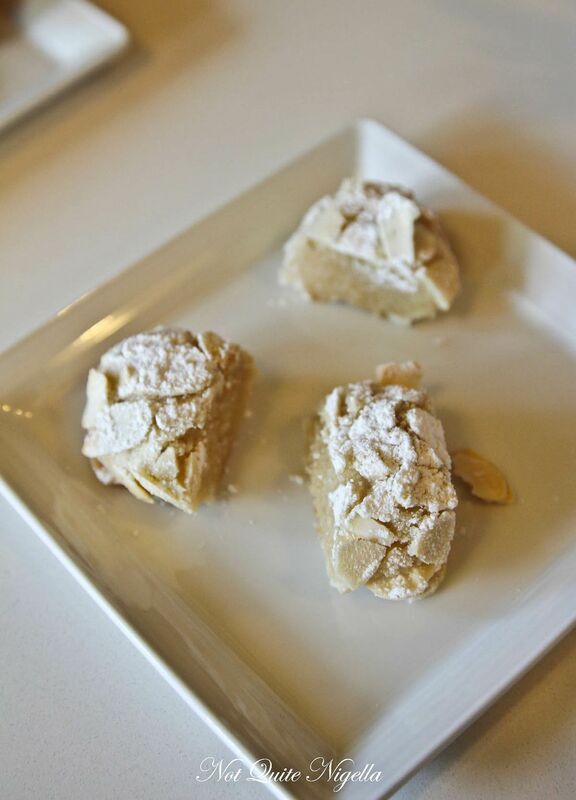 Rino's wife Marissa puts down a little plate of almond cookies, soft and fudgey in the centre and coos "These just came out of the oven." But the piece de resistance and a present for those who like things a bit naughty (and I'm looking at Silver Fox and Buxom Wench here) is finally revealed when Buxom Wench pipes up "Show her your karma sutra chocolates!" Rino uncovers the chocolates which are hidden from display lest under 18 eyes set sight on them. The karmasutra chocolate are detailed and show couples and trios in various positions. 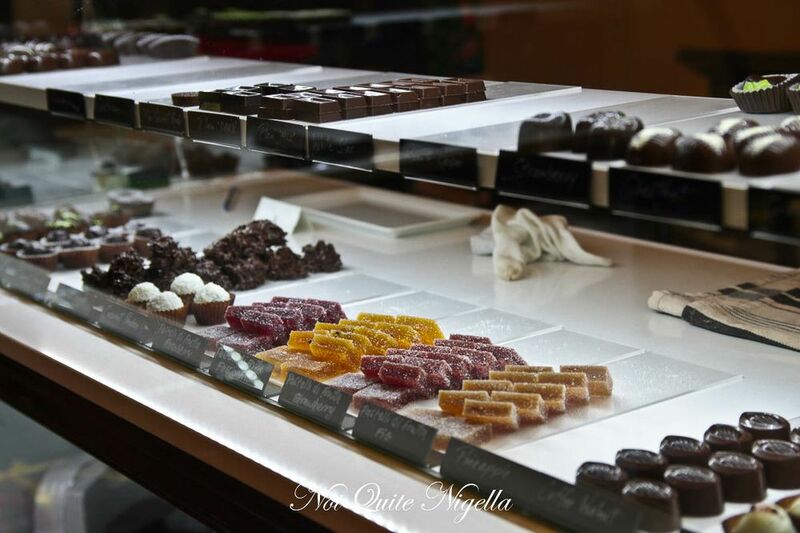 So tell me Dear Reader, who is your favourite chocolatier or chocolate? featureZumbo's Cake Walk & Shop At The Star & Win A Signed Copy Of Zumbo, The Cookbook! feature Zumbo's Cake Walk & Shop At The Star & Win A Signed Copy Of Zumbo, The Cookbook!